Univision has just wrapped filming on a new telenovela meant to be streamed on the web and mobile devices. The series, called “No Me Hallo” (“Finding Myself”) stars Angelica Vale, a major Mexican star who held the title role in “La Fea Más Bella,” one of the inspirations for “Ugly Betty.” It concerns a musical artist whose husband/manager leaves her, and will “air” in 15 mini-episodes, each three to five minutes long. “Because of cost reasons, [web novelas] are usually done with talent that’s not known yet,” Univision Networks president Cesar Conde tells Fast Company. “One element we’re testing is if we can bring well-known artists from the TV arena” into the world of web and mobile. It’s part of a broader strategy on Univision’s part to experiment with interactive platforms; the network itself is now one of the top five in any language in the U.S.
Univision.com tried its hand at streaming a web-only series called “Vidas Cruzadas” (“Crossed Lives”) back in 2009. “No Me Hallo,” though, is one of the first novelas made with devices like smartphones and tablets in mind, according to Conde. The show should launch the week of May 16, he says. Viewers can download episodes for free onto their devices via a Univision app. They can also watch it online on NovelasySeries.com, Univision’s portal for novella obsessives. The mobile novela could also usher in a new means of developing telenovelas for the original small screen–the TV itself. If a storyline in a mobile novela fares well, gaining a fan base, Univision could then decide to develop a full-fledged series based on that idea. “We’re incubating a model,” says Conde, a model that could potentially be much less expensive than the current one of pitting several different expensive-to-produce pilots against one another in a ratings death match. In this particular case, given the success of the production and the big name attached, Univision has already decided to air these mini-episodes all together in a one-hour event, after serializing each mini-episode’s release. 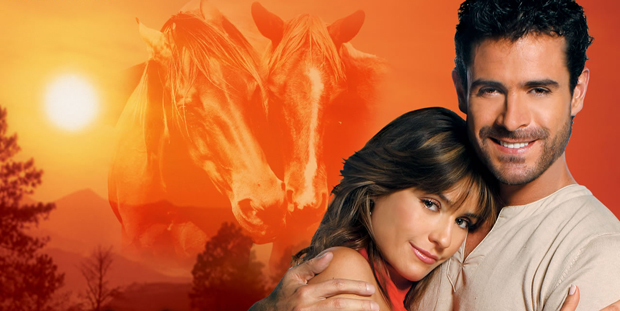 Novelas are known for their dramatic cliffhangers, Conde notes, and “No Me Hallo” is no exception. Only, since it was originally produced as a series of brief episodes, the hourlong program “has a cliffhanger every five minutes,” says Conde.